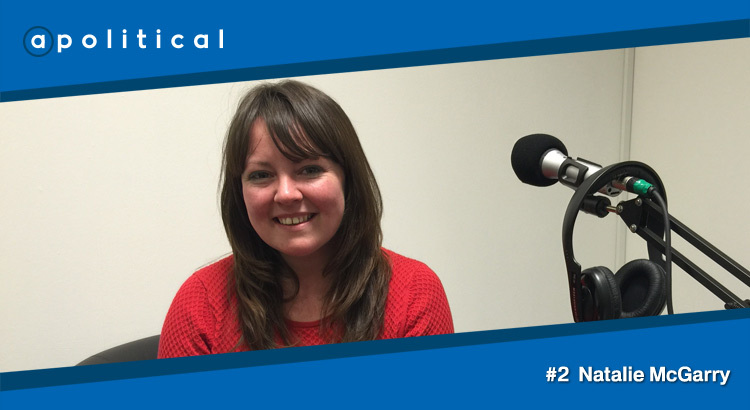 In Episode 2, apolitical spoke with Natalie McGarry to discuss her politicised childhood, the 2015 General Election campaign and the benefits & perils of using social media as a politically active individual. In this Episode you will learn a little more about the background and motivations of the challenger for Margaret Curran’s Glasgow East constituency and her hopes for Glasgow’s – and Scotland’s – future. • The human impact of austerity and poverty.